Since we opened our doors in 2012, United Fertilizer Chemical has been one of the most dependable suppliers of industrial and agricultural chemicals in the industry. Because we operate our own production lines, we have the ability insure that our products meet the highest quality standards. We are also capable of producing specialty products that fit your individual needs. 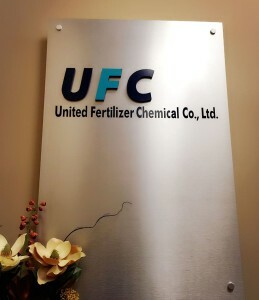 Our goal is to make United Fertilizer Chemical an international leader in chemical supplies. While North America is our current base of operations, we are excited about taking on new challenges across the globe. At United Fertilizer Chemical, we pledge to continually improve our operational structure in order to insure that our products meet our own high standards. We believe that we have amassed the necessary resources and talent to become the global leader in agricultural and industrial chemicals.